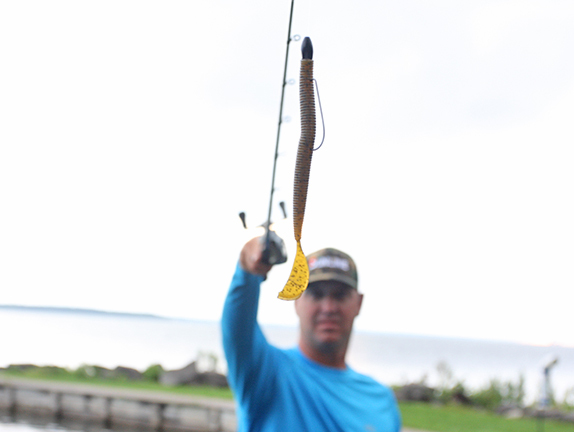 To get bites around grass, wood or rock, or anywhere else for that matter, Todd Faircloth reaches for the Strike King Cut R Worm. 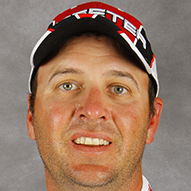 Todd Faircloth is as good as it gets when it comes to grass fishing. Heck, he�s good around just about any kind of cover for that matter, but there are times when his gears start to grind. When that happens, don�t be surprised to see him casting a Strike King Cut R Worm around. > Gear used: 7� medium-heavy Denali Lithium casting rod, unnamed casting reel (7.0:1 ratio), 14-pound Sunline Super FC Sniper fluorocarbon line, �-oz. Strike King Tour Grade tungsten worm weight, 4/0 Gamakatsu offset round bend worm hook, Strike King Rage Cut R Worm (junebug or green-pumpkin; redbug in summer in the south).